Monster Hunter: World becomes a substantially different game depending on whether you're playing it alone or with others. 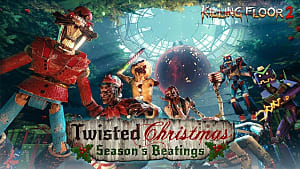 In multiplayer mode, monsters get much tougher and often attack differently. As such, your favorite weapons to use when playing alone might not be ideal in co-op, and vice-versa. With hundreds of weapons to choose from, finding a few that you love can seem overwhelming. 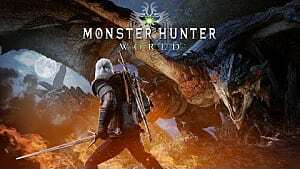 MHW is pretty well balanced, and different players will always have different preferences; this guide is certainly not intended to be The Final Word in the best weapons, only to highlight some of our favorites and point out their niftiest features. Note: Because not all players may have access to limited event weapons, they are not eligible for inclusion in this list. Note #2: Weapon damage ratings (weak, low, average, high, outstanding) are assessed relative to typical damage values for that class of weapon, not against all weapons; the strongest dual blades are obviously going to have much lower base damage than the weakest hammers. Be sure to head over to our best sing-player weapons guide for more Monster: Hunter World weapons. Often considered the most difficult weapons in the game to master, charge blades are slow and have complex move sets, but make up for it by having excellent offensive and defensive capabilities, whereas most other weapons aren't so great at one or the other. All other factors being equal, charge blades have the highest damage potential of any weapon class. Their large shields can also block all but the very strongest Elder Dragon attacks. Hammers have the shortest range of any weapon other than dual blades, but they're built specifically for hitting things in the face and stunning, so they're great for getting monsters that like to rage frequently to take a chill pill. Why it's great for cooperative play: As a hammer user in a party with others, your main job is generally to hit the monster in the face repeatedly in order to stun it as often as possible (and to break its parts for extra drops). This weapon's 270 dragon damage and average elderseal are both pretty darn good for a hammer with such high base damage, and the same is true of its single level two decoration slot. You can do (a little) better in terms of raw damage, but you'd have to sacrifice some of the extras. Dual blades have the fastest attack speed of any weapon, but deal the least damage per hit (obviously). This makes them superb for inflicting status effects, and their unique demon mode is capable of dealing out surprisingly big damage for such little weapons. Why it's great for cooperative play: The biggest limitation of dual blades for solo players is the fact that your DPS is compromised by needing to dodge frequently, but with teammates around, dual blades users generally pull the least aggro. This means you're free to take advantage of both ice and blast damage at impressive values of 240 each. As long as your target doesn't fully resist either, you can dish out a lot of pain with this weapon, especially if you bring armor that enhances affinity or Blast Attack. Greatswords are both slower than charge blades and less damaging on a DPS basis. You might ask: "Why use them, then?" Well, they're easier to handle and they boast higher damage per hit, making them the best choice for waking up sleeping monsters. They also don't limit dodging quite as much as charge blades do. Why it's great for cooperative play: This is the third strongest greatsword in terms of base attack power, and it boasts another 150 dragon damage and high elderseal on top of that. With other hunters helping out, you should be able to attack more aggressively, taking full advantage of all that hard-hitting goodness. Adding Health Regeneration to its single augmentation slot has the potential to make you nigh unkillable. Long swords are the most popular weapon in Monster Hunter: World according to the wandering Wyverian, and it's not hard to see why: they're the most versatile and flexible weapon class. 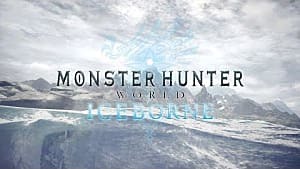 Featuring decent range, damage, and speed, long swords are a solid choice if you're not sure what to expect or if you'll be taking on several different monsters at once. Why it's great for cooperative play: The Reaver "Calamity" is the single hardest hitting long sword—759 base damage is amazing, considering how quick these weapons can be. 210 dragon damage and high elderseal, along with two augmentation slots, make this decision kind of a no-brainer, even though it lacks decoration slots. Recruit some teammates to pull aggro so you can go to town on the target undisturbed. These truly weird weapons are tricky to master, but capable of both great offense and defense in skilled hands. They're not quite as good at either as charge blades, but they're somewhat more user-friendly and even I (a devout charge blade user) have to admit that gunlances are way cooler. Why it's great for cooperative play: Don't be underwhelmed by this weapon's middle-of-the-road attack power or its absence of decoration slots—it boasts long-range shells and level 4 shells, making its ranged attacks among the most devastating to be found in its class. 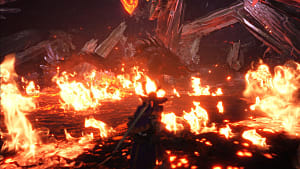 Being a Zorah Magdaros weapon, it also makes everything explode with a whopping 420 blast damage. 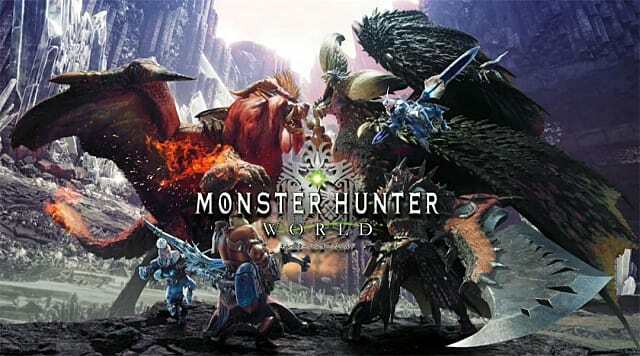 With fellow hunters distracting the monster, you can fire off slow, long-range charge attacks in relative safety—or shoot the monster right in the face at point-blank range if you're in charge of tanking. I must confess that I know less about lances than any other weapon, but to the extent that I've used them, I find them to be a better choice for multiplayer than for solo play. They lack the ranged and burst damage options of gunlances, but offer better maneuverability, better defense, and more consistent (if lower) melee damage, making them a more "vanilla" (but still useful) weapon. Our pick: Empress Lance "Blaze"
Why it's great for cooperative play: If you're a lance user in a party, odds are you're the designated tank. Keeping that in mind, it's hard to ignore the free rank of Guts you get from this lance, which will let you survive a fatal hit once per battle. Its 20% affinity is bested only by a small handful of other lances, and you've got 180 blast damage as well. Taken as a whole package, this weapon makes you a veritable bastion of defense while also granting above-average offensive potential. If a charge blade and a greatsword had a baby, that would be extremely weird, and the baby would be a switch axe. These awkward weapons have a strange feel and rhythm to them, but make good offensive weapons in trained hands. They lack both the incredible damage potential and the major weaknesses of their parents. Why it's great for cooperative play: As you've no doubt learned, rarity isn't everything when it comes to comparing different weapons. Though the Jagras Raider III is "only" a rarity 6 weapon, that does mean you get three augmentation slots to play with. What's more, it has dormant sleep damage of 240 (you'll need Hidden Element to take advantage of it) and 210 exhaust power, meaning it's capable of tiring monsters out fast and frequently. Since monsters can't use their worst attacks when they're exhausted, your teammates will thank you. The bread and butter of fantasy melee weapons, the good old sword n' board does it all. While long swords are also versatile weapons, they're mostly offensive in nature, whereas swords and shields are better suited for defensive play. They also have a unique property: they're the only class of weapon that permits item usage (and slinger shots!) in combat while blocking, which is an enormous advantage during tougher fights. Why it's great for cooperative play: You're never going to get superlative damage output with a sword n' board, so embrace its other strengths instead. The main attraction here is the 300 paralysis damage that can lock monsters down for your allies to wail on, but it's dormant, so you'll need to invest in Hidden Element. It also grants a +10 defense bonus, which is unusual for this weapon class. Swords and shields are designed to be versatile, so do whatever makes the most sense for you with its three augmentation slots and single level three decoration slot. 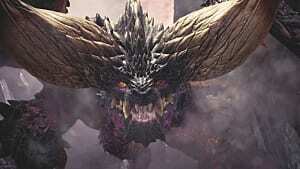 An insect glaive was the first weapon I tried in MHW, and I hated it at first. It's now my second favorite weapon type. Glaives take some getting used to, but they offer the best speed and mobility of any weapon, and they have some nifty extra abilities too. Glaive users spend most of their time in the air, excel at dodging and mounting, and can inflict multiple element or status effects on the fly with different glaive and kinsect combos. Why it's great for cooperative play: Few glaives offer stamina boost as a kinsect bonus, but this is one of them. (Note that this refers to your kinsect's stamina recovery, not yours; this boost allows you to dispatch your bug more frequently.) 15% affinity is decent for a glaive; you can boost that number way higher if you're an affinity-based fighter, or just focus on keeping the monster under low elderseal with an unrelenting barrage of aerial attacks. Consider allocating a few armor skill slots to Handicraft to boost this glaive's offensive potential. It's not quite fair to say that hunting horns are useless to solo players, but they're definitely intended to form the backbone of a party. Their buffing and healing songs will be of limited use to lone hunters, but can overcharge a party's abilities to an impressive degree. 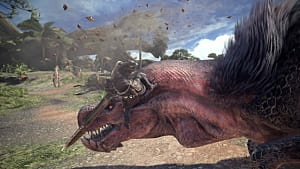 Why it's great for cooperative play: As any experienced Monster Hunter vet will tell you, status effects are often way more dangerous than a monster's direct damage attacks—but Teostra's Orphée has you covered on both sides. It can play Divine Protection and All Ailments Negated songs, and it can also turn the tables on enemies by boosting your allies with an Abnormal Status Attack Increased song. It can't restore HP directly, but that's about the only support task it can't do. Bows are definitely meant to be used in multiplayer, as they're primarily for distracting or lightly stunning enemies and for inflicting status effects. They're ideal for lazy players that don't like to do much dodging, too; stay well out of range, and monsters will rarely bother to come harass you. Why it's great for cooperative play: This bow can use power coatings by default, which means if you want access to the two it doesn't have (sleep and paralysis), you can add them via decorations in order to support the team more effectively. Its 15% affinity, low elderseal and 180 dragon damage are all respectable, making it more physically powerful than many other bows as well as useful for keeping Elder Dragons under control from a safe distance. As you might expect, light bowguns fire more quickly and permit greater mobility than their heavy counterparts at the cost of reduced damage. They're great with support ammo for inflicting status effects, and they can plant mines in the ground to set up traps for moderate damage. Why it's great for cooperative play: This bowgun is hard to control and has negative affinity, but it's got great base damage and two augmentation slots to play with. However, it has a hidden property that isn't openly advertised: it deals amazing slicing damage, making it superb at severing monster parts from afar. Most light bowguns don't really distinguish themselves from one another, so this one stands out from the crowd and can be a great support weapon. Beefier and slower than its little brother, heavy bowguns can be particularly challenging to use effectively without teammates, as they're slow and unwieldy, and they make dodging difficult. But if you do have a friend or two backing you up, heavy bowguns become much more useful. Our pick: Empress Cannon "Styx"
Why it's great for cooperative play: There are stronger HBGs out there, but damage isn't what this weapon class is all about anyway. The main draw here is the free rank of Spare Shot, which grants every shot fired a chance to not consume ammo; this means you can support your team effectively throughout much longer fights. After that, the medium-tier affinity rating and decoration slots are just added bonuses. There you have it! Hopefully you'll fall in love with at least a few weapons from this list, but even if you don't find your forever weapon, perhaps you've learned something useful about different ways to evaluate other options. 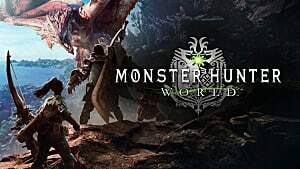 Keep an eye on our Monster Hunter: World hub page for more guides.